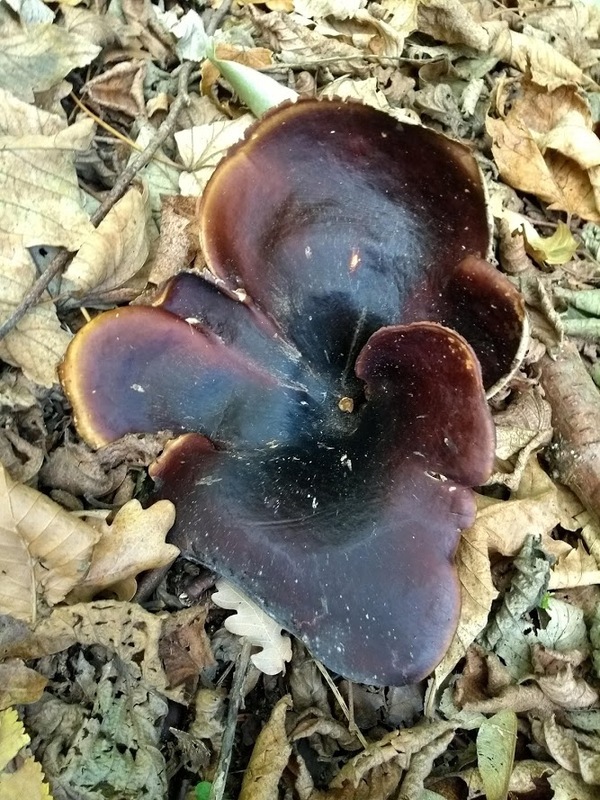 The black footed polypore gains it’s name from the black stipe supporting the fruiting body. 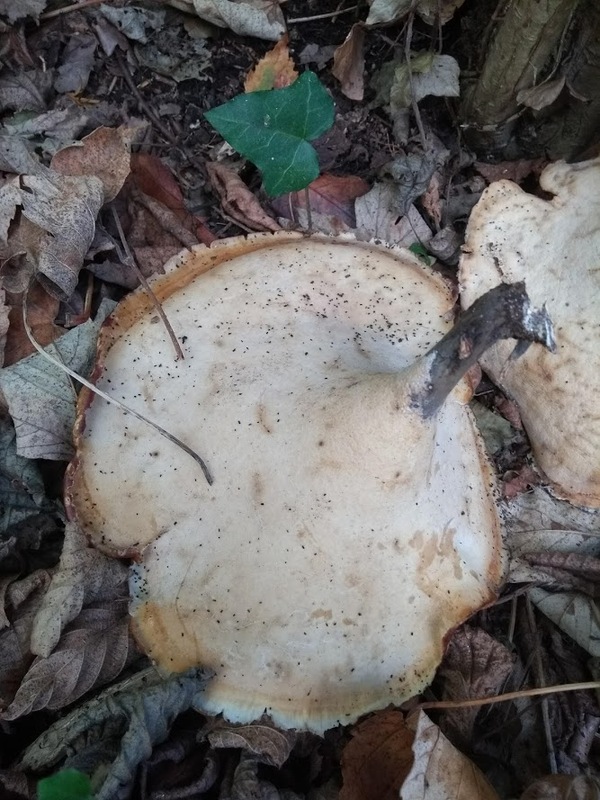 It’s a saprophytic species growing on dead hardwood. 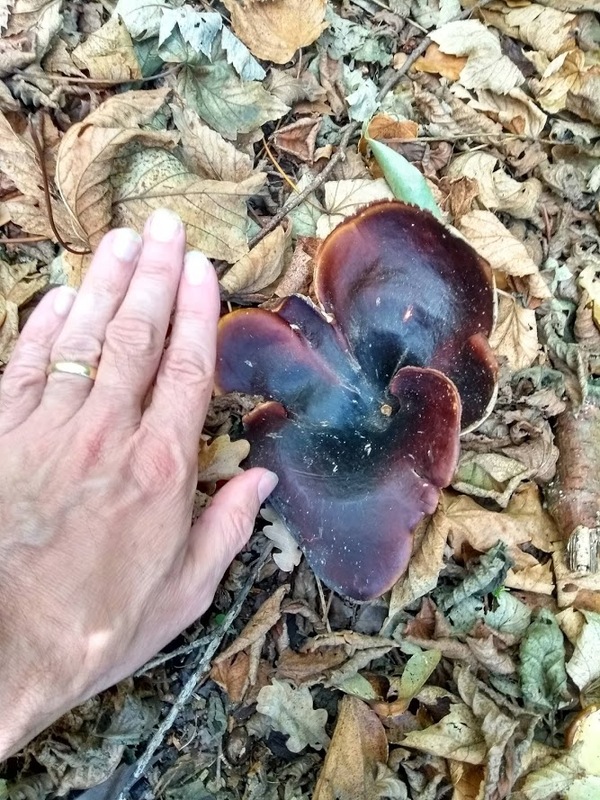 This quite large and colourful fungus has not previously been reported on campus so I was excited to see several fruiting bodies together on 13th September 2018. 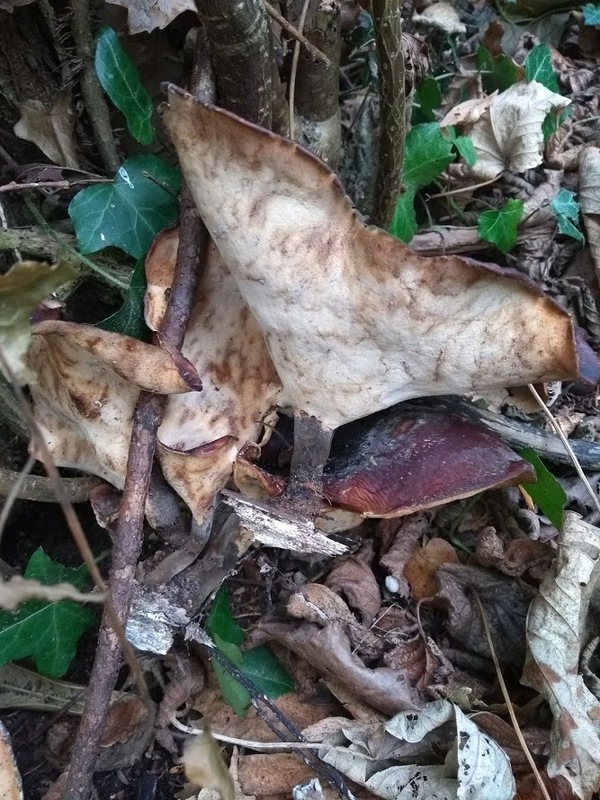 All had been disturbed and lifted out of the substrate – no idea whether this was by an interested person or by animals. 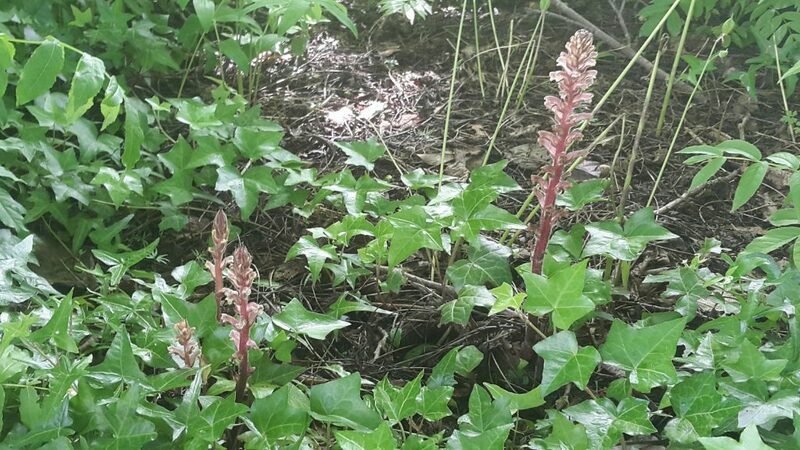 My last blog was on the common broomrape, Orobanche minor, the only species I had seen on campus in the past few years. Today I was excited to receive an email from Phöbe, one of the volunteer Friends of the Haris Garden and a very keen Cyclamen grower. 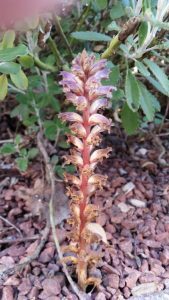 The email included this image of a broomrape growing under the wingnut trees in the Harris Garden. 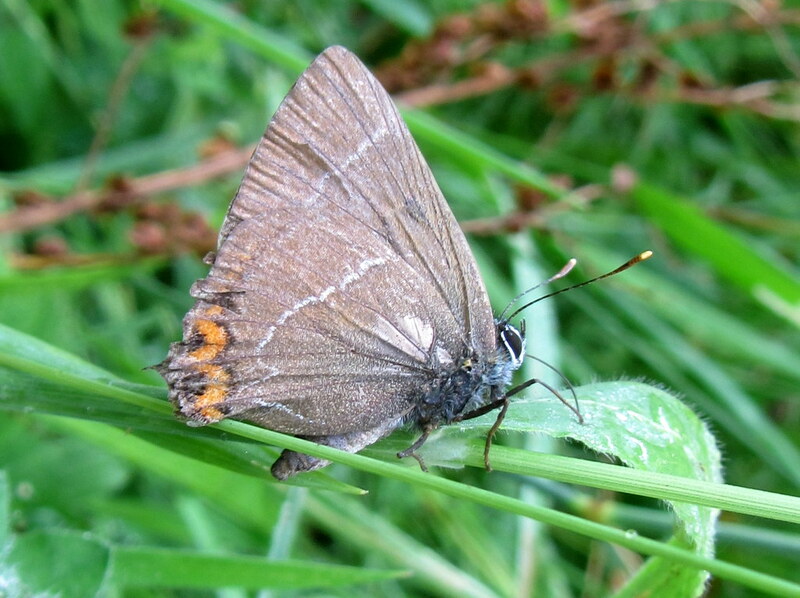 Last July we added White-letter hairstreak to the campus species list. 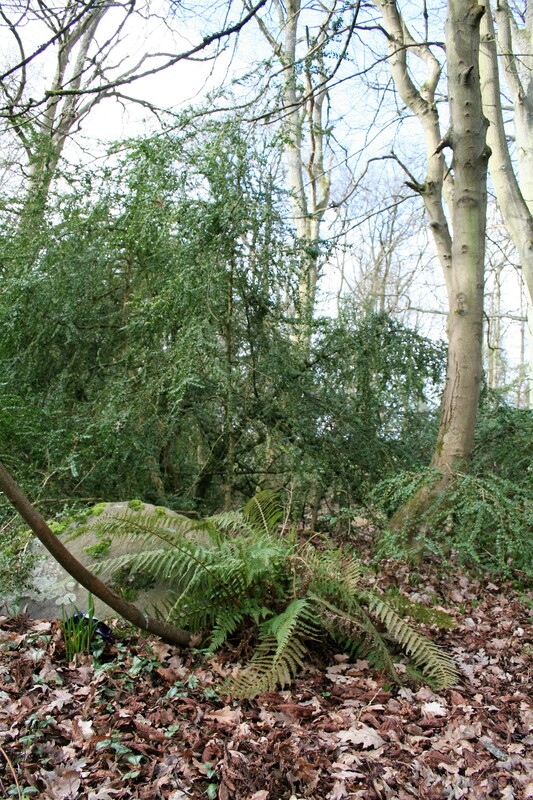 It’s impossible to say whether it was a stray individual (revisiting my photograph it was a pretty beaten up specimen!) or part of a breeding colony on campus. 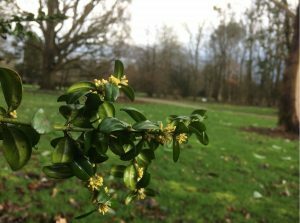 It can persist in quite small colonies, often centred around a single tree as for the Sheffield colony mentioned in this recent Guardian article. The larvae usually start out feeding on flower buds, so white-letter hairstreak prefers more mature and therefore flowering elms. However, it has been recorded subsisting solely on younger growth. Alist of all powdery mildew species I have found in 2015 is now available on the Whiteknights biodiversity blog. School of Biological Sciences students and staff alike enjoyed a veritable wildlife bonanza during week 6 ‘enhancement week’, with a range of sessions including bird ringing and moth trapping that served to demonstrate you don’t have to go far for a wildlife experience when you live and work on Whiteknights Campus.